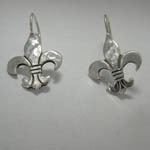 Desc: Sterling Silver fleur de lis earrings. 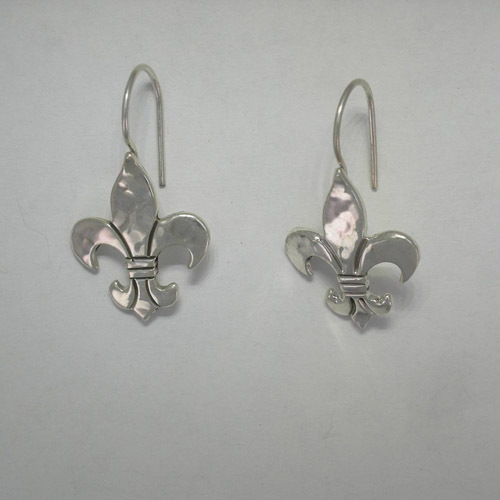 The fleur de lis have hammered silver and bright polish finishes. The French wires are soldered stationary onto the back of the fleur de lis. The earrings are signed by the artist.